Need to clock up your 10,000 steps or break up the 9-5 routine? 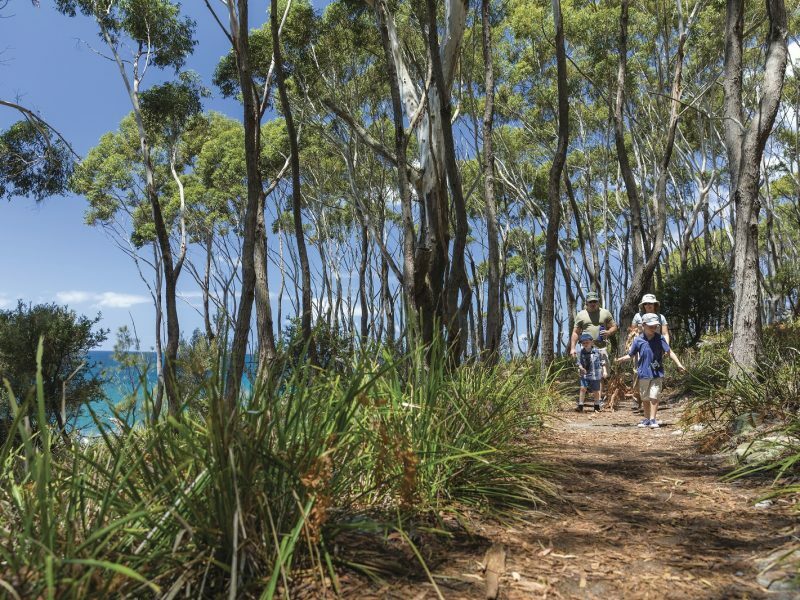 Bradleys Head walk is your choice Sydney spot for a quick-cure nature walk. 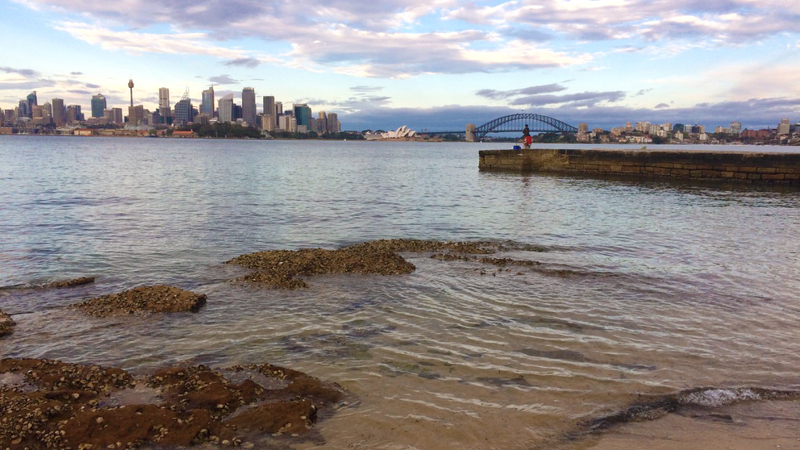 Leave the flocks of ferry-goers at Taronga, and follow the footpath opposite the zoo’s lower gate into Sydney Harbour National Park. Bradleys Head is just 1km away, along a finger of curling foreshore. On cue, the scenery turns leafy and the hum of harbour traffic dulls as a chorus of twittering takes over. And just like that, you’ve escaped the city in less than 20mins. You can easily add a few hours checking out all the detours along this walk. Where do those stone stairs lead – someone’s backyard? No, this too-cute cottage is Athol Hall. Built on the site of an old dance hall in 1908, it’s a fave for parties, picnics and weddings. 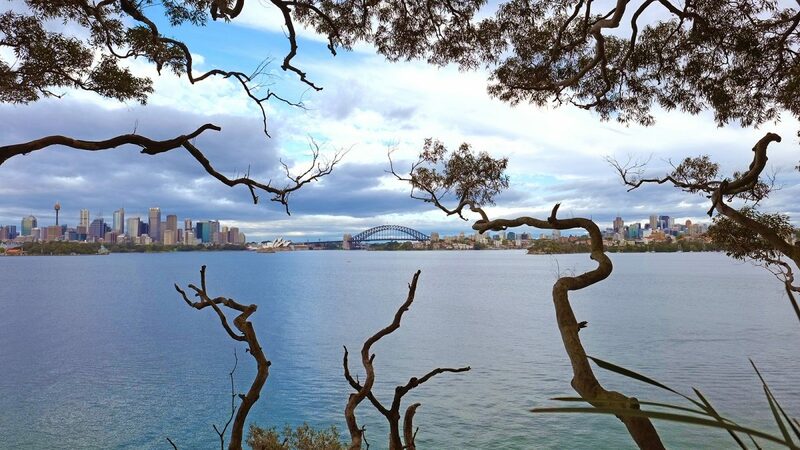 We reckon this is the finest part of the walk, and it doesn’t take long to realise that seats and benches dotted along the track are a cue to get your phone ready for some impressive framed views of the harbour, and city skyline in all its postcard glory. But that’s just a taster. After teasing you with snatches of Sydney views, the track opens up and you’ve reached Bradleys Head. Pro tip: This is one of the most flexible tracks in town for the footloose. 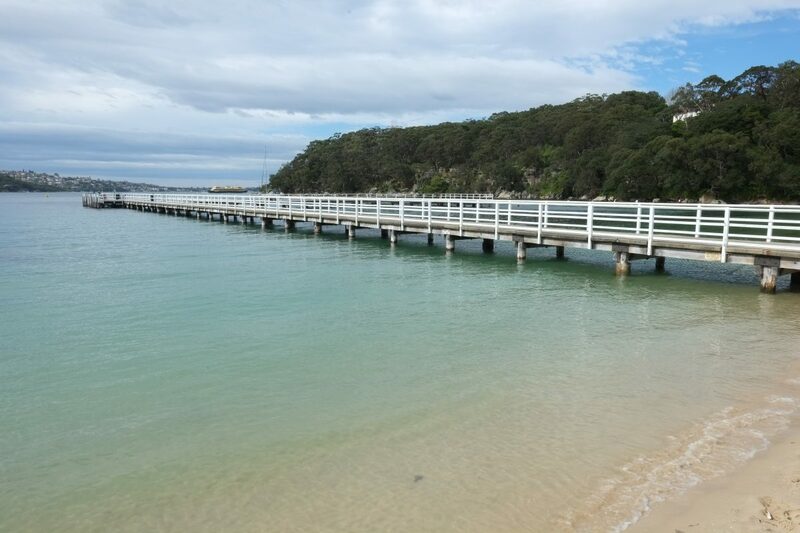 Dip into a shorter section, walk the full 4km, or tack on extra clicks to Middle Head or Balmoral Beach. It’s topped and tailed with transport links so you’re never far from a bus or ferry. It’s hard to know what to look at first, there’s so much here. The impossible-to-miss mast, the old fortifications, the grassy sweep of Bradleys Head Amphitheatre down to a slim strip of beach (when the tide’s out). Strike a pose on the stone pier that catwalks into the harbour. The backdrop is your new timeline pic. 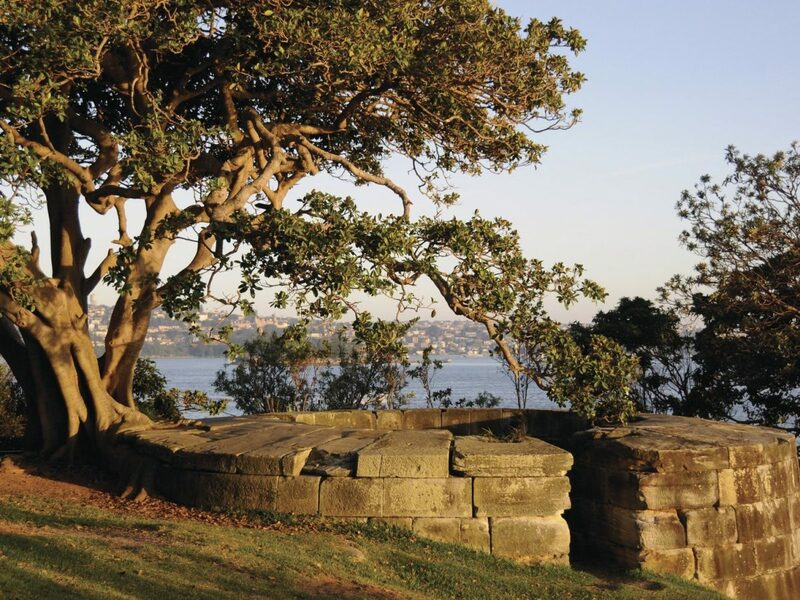 This peninsula has always been about great views: well before it became a convict-built battery in 1839, Aboriginal people knew its value as a lookout point. Its original name, the word ‘Daiyungay’, means lookout or place of surveillance. Take the stairs up to Cannons picnic area, near the Rifle Wall. 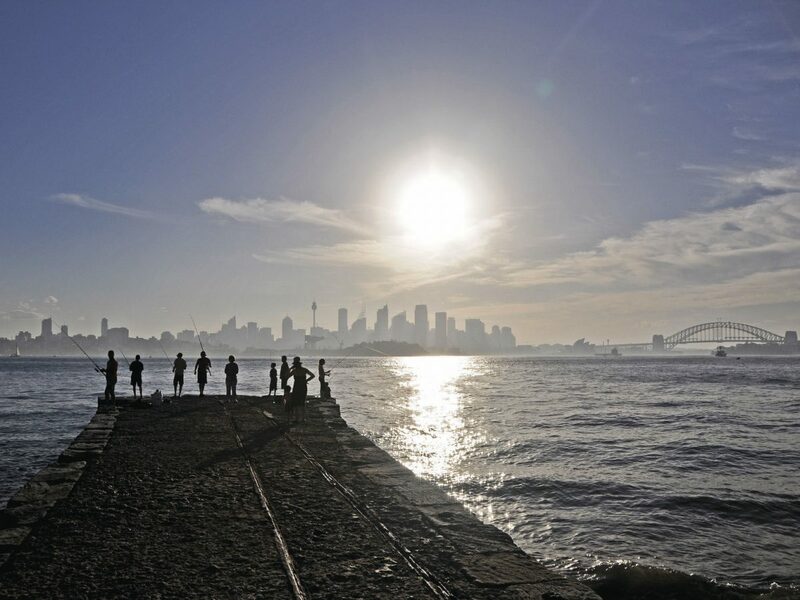 Here you can wander around the warren of 19th-century defence ditches, built after British troops left the Sydney colony to fend for itself, and the later defence fortifications – there’s even an original timber gun carriage and slide. Did you know: There’s a Greek-inspired Doric column strangely marooned at Bradley’s Head shoreline. 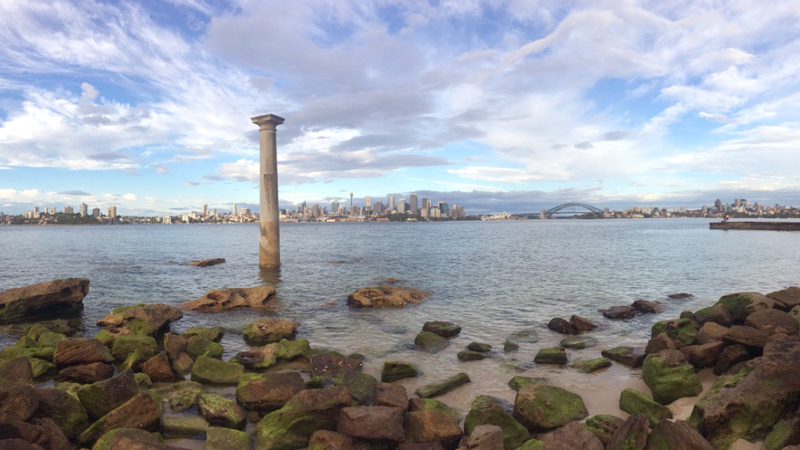 The 10m-tall column was salvaged from the original George Street GPO when it was demolished and moved here in 1871 to mark one nautical mile from Fort Denison’s Martello Tower. Kick on through a short scrubby section that turns to hanging swamp with a low retaining wall of ferns. The highlight here is towards the end, where the track dips into the 200 year-old rainforest of Taylors Gully, and you’re suddenly surrounded by trickling waterfalls spilling over mossy rocks, spaghetti vines and trees shrouded in lichen. It’s hard to believe the 21st century is, literally, just around the corner. After a photo (or many) to prove this time capsule of a forgotten Sydney exists, the walk reaches a crossroads. 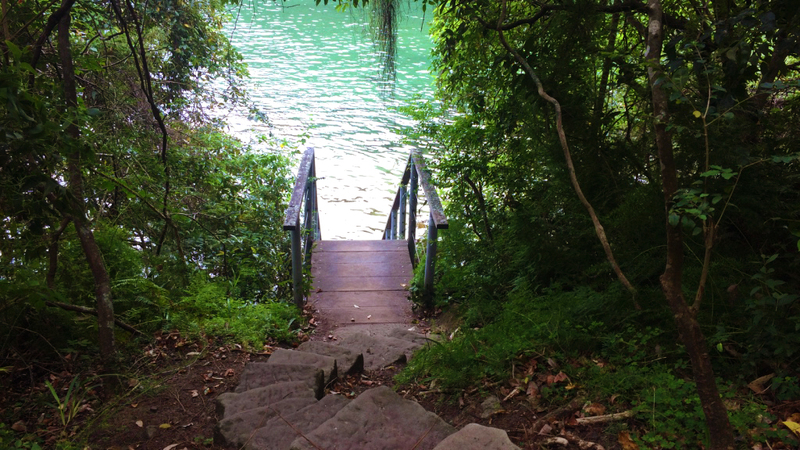 The giant staircase on your left climbs to Iluka road in the backstreets of Clifton Gardens, forward lies the path to Chowder Bay, while right takes you on an essential detour to Taylors Bay. It’s a bit of a rock scramble down the narrow stone steps, until the curtain of dense rainforest dramatically ends and you’re presented with a jungle-backed beach that wouldn’t be out of place in Costa Rica. 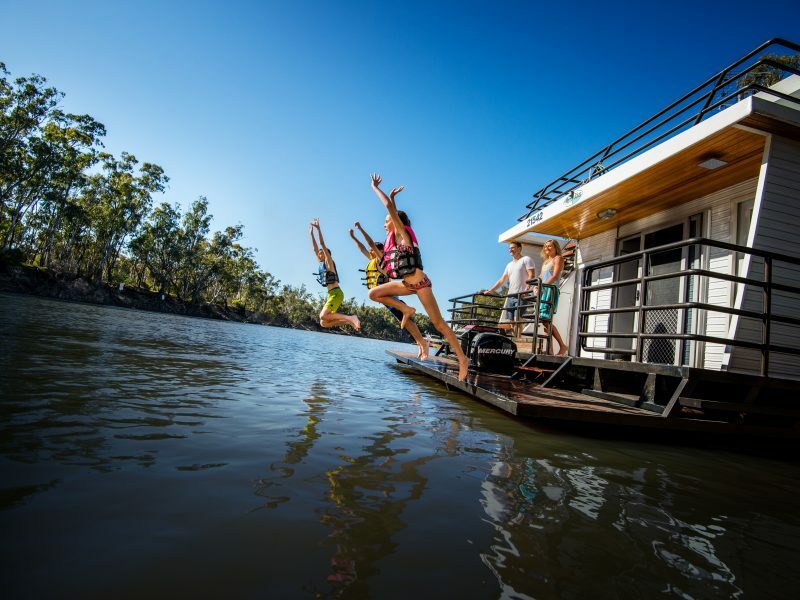 See if you can spot Aboriginal carvings of kangaroos on the rocks. Pro tip: Weekdays or mid-year you’ll be lucky to see another person, especially along the less-visited Taylors Bay and Chowder Head sections. Returning to the crossroads, push on towards Chowder Head (500m) and Middle Head, tracing the narrow path through the overgrown mass of greenery behind a line of glass-fronted mansions. Did you know: A well-weathered panel at the lookout point above Taylors Bay tells the story of the Japanese midget submarine attack on Sydney Harbour in 1942. One of two midget subs to make it past the boom-net defences, strung across the Harbour, was cornered in the bay and sunk by depth charges. 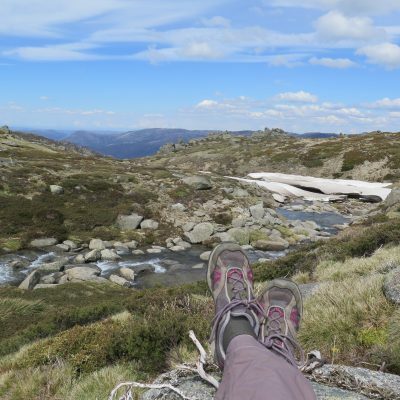 The track continues to Chowder Head before elbowing around the other side, and after around 500m of bushwalking you’re out of the national park and back in civilisation. 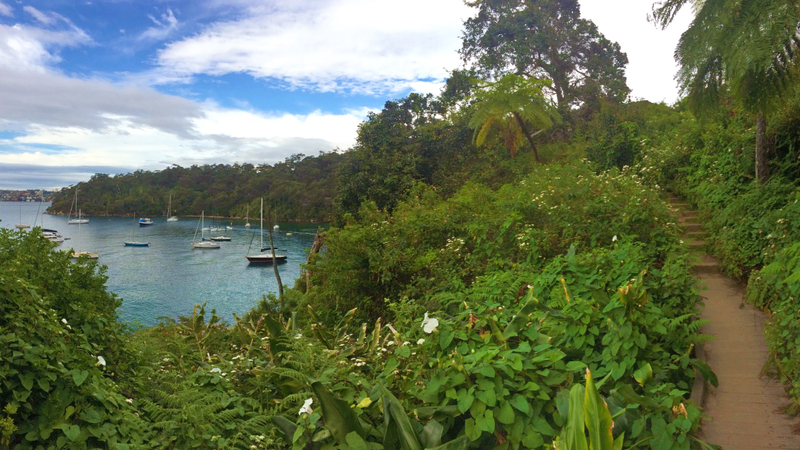 Clifton Gardens Reserve beckons a short 150m to the right by the calm waters of Chowder Bay. On weekends this stretch of beach and the long white lines of piers are packed with picnickers, dog walkers, and swimmers taking advantage of the sea baths. From here, it’s a short walk around the old military buildings to Chowder Bay road, where you flag down the bus to catch a ride back to the city. 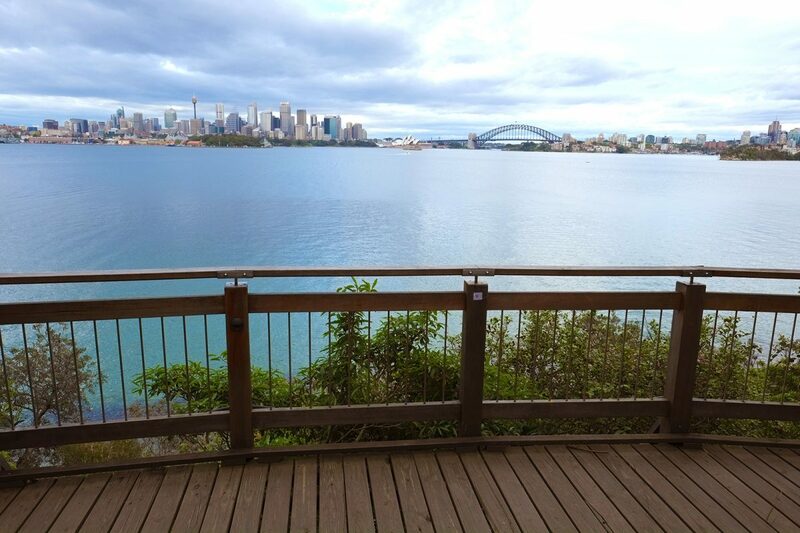 You can also take the thigh-burningly steep climb back to Bradleys Head road from the reserve’s carpark, and bus back to Taronga’s wharf or into the city. But why rush back? Reward yourself with a mini meal at the kiosk or wine bar, in the historic waterfront buildings. Then splurge on a water taxi back to the city. You’ve earned it.